Our Mission: To enrich the lives of our athletes through the sport of swimming by providing safe and inclusive programming in a culture that encourages competitive excellence and personal growth. An officials information seminar at CSU on May 5th (SHSH TYR Meet) at 12pm. Folks who are interested in becoming an official can attend this meeting. Email bburns@twinsburg.oh.us and Lori Baylor lorimbaylor@yahoo.com to let us know they are coming but that is not a requirement. We will meet in the basement hallway. LESI HOD (4/28/19) Legislation Elections Please note that there will be limited handouts - print and bring copies. Coach Test Information - The Rules and Regulations for Swim Coaches test will be unavailable from April 15-30. The officials’ online tests will also be unavailable on these dates. All of these tests are being updated to allow for the May 1st rule changes. There is no grace period for coaches; they cannot be on deck at practice or meets until they meet the education requirement. The Rules and Regulations for Swim Coaches test is part of the 2nd year coach membership requirement. folder so we can use it during the awards banquet. 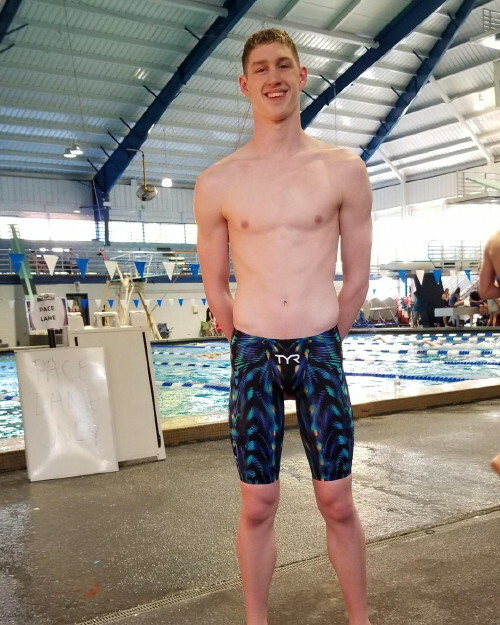 Ten CSI Swimmers traveled down to Orlando, Florida to compete at the NCSA Junior National Championships from March 19 – 24. Hannah Bach had a standout performance becoming the NCSA Jr National Champion, placing 1st in the 50 Breast with a time of 27.60 and 2nd in the 100 Breast with a time of 1:00.17! Laura Goettler (17) of the Lake Erie Silver Dolphins has qualified for the 2020 United States Swimming Olympic Team Trials. 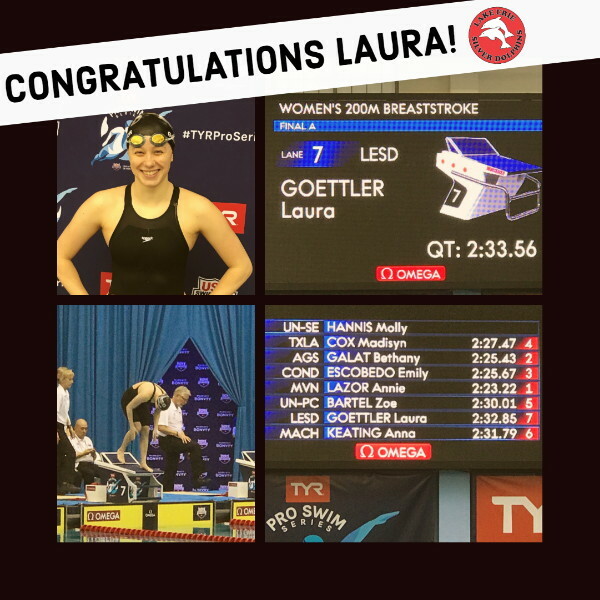 She swam a 2:32.85 in the 200 meter breaststroke this evening at the TYR Pro Swim Series Meet in Virginia. Laura was well under the qualifying time of 2:33.29, finishing 7th in finals. Laura is also the first swimmer from Lake Erie Swimming District to qualify for the Olympic Trial meet scheduled for June in Omaha, NE. CCS had 20 swimmers attend the 2019 NCSA Junior Nationals in Orlando. Swimmers that made the podium Individual Event Scorers William Rose, Hunter Armstrong, Parker Timken and the 200 free relay Hunter Armstrong, William Schneider, Joey Mullen, William Rose! CCS placed 17th combined and the men placed 11th. The best Performance for CCS at a National Meet in team history!